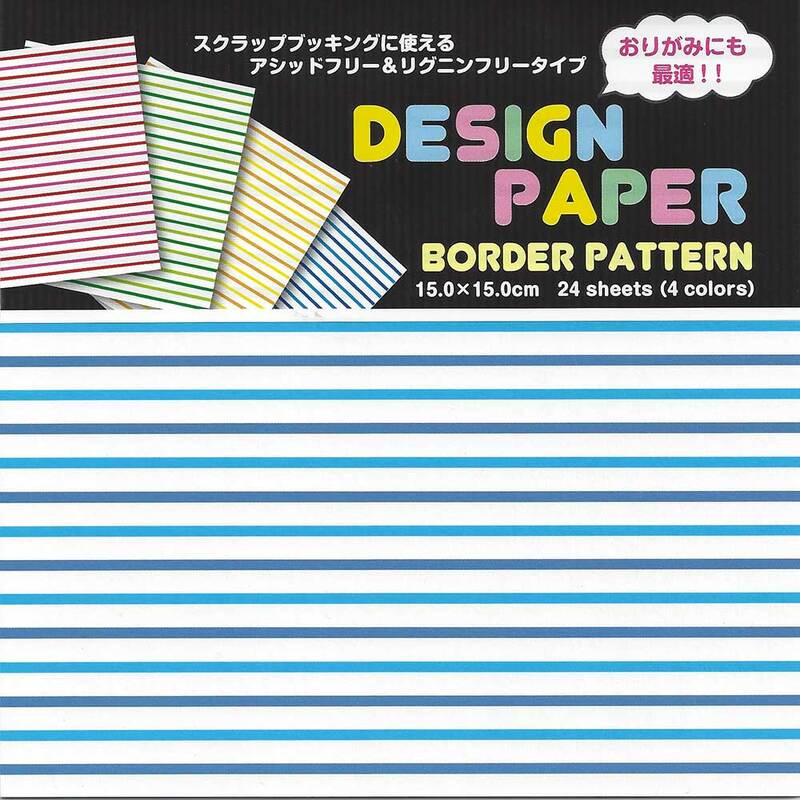 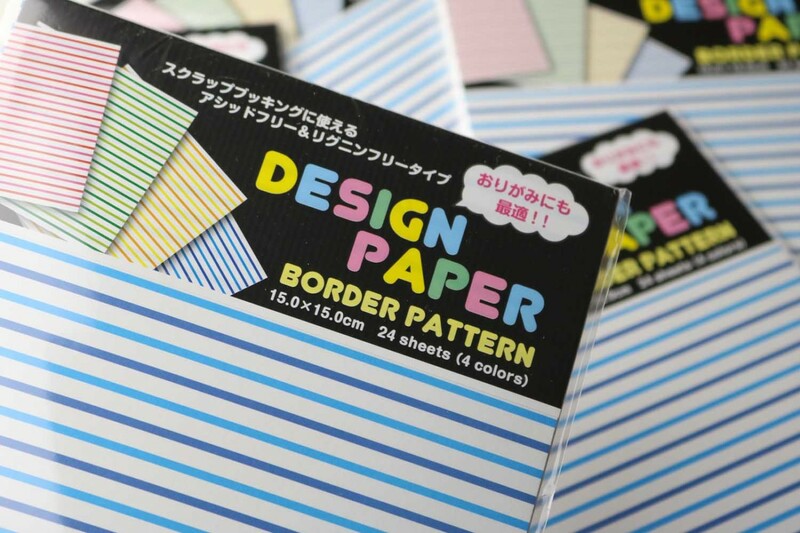 A slightly stronger paper in a cheeky two-tone stripe pattern on a white background. 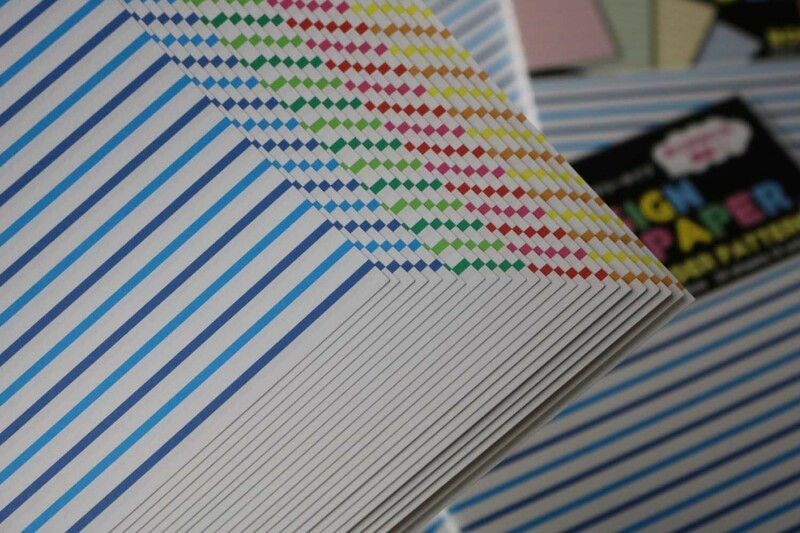 The pack contains 6 sheets in four color combinations: light blue with dark blue, yellow with orange, light green with dark green and red with pink. 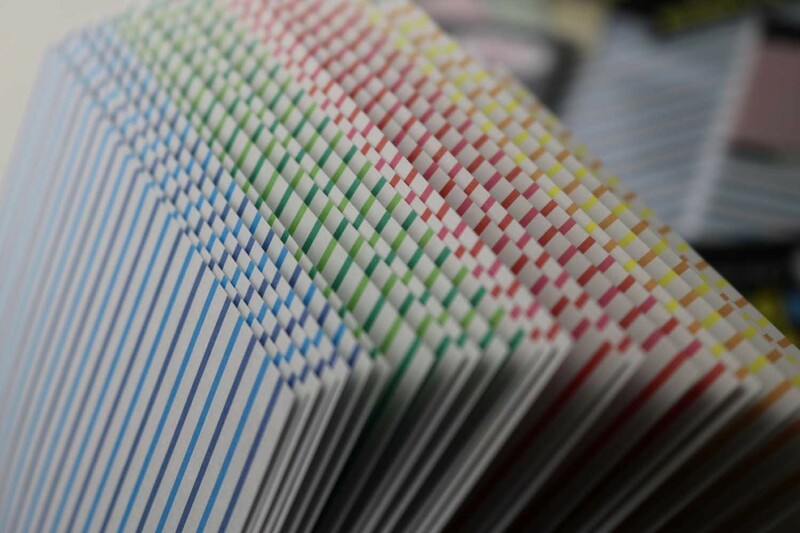 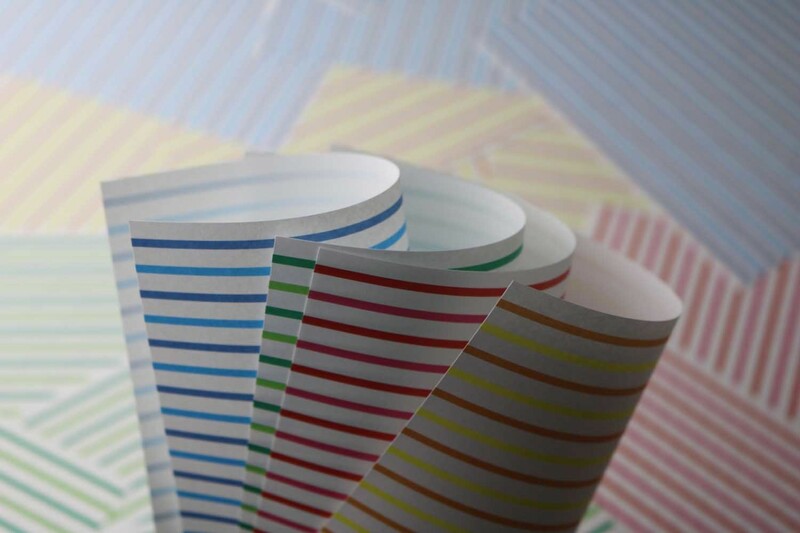 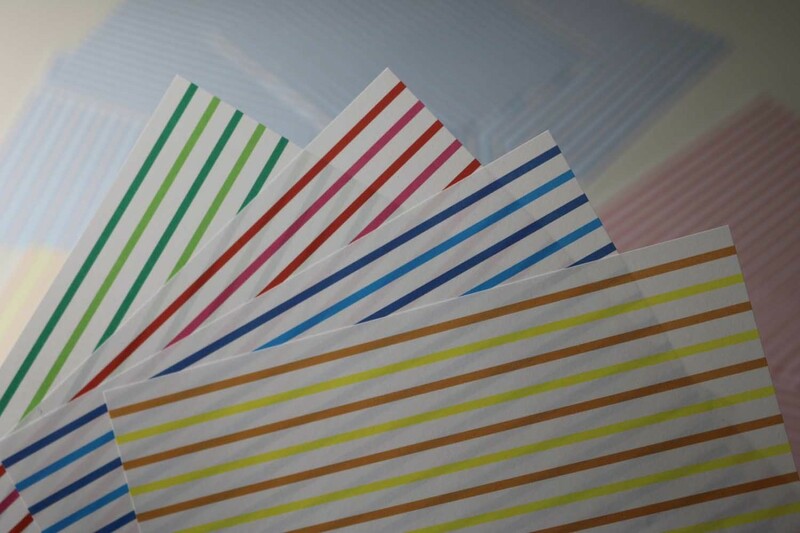 The paper can be combined well with the plain-colored varieties “Tant” and “Solid Color”. 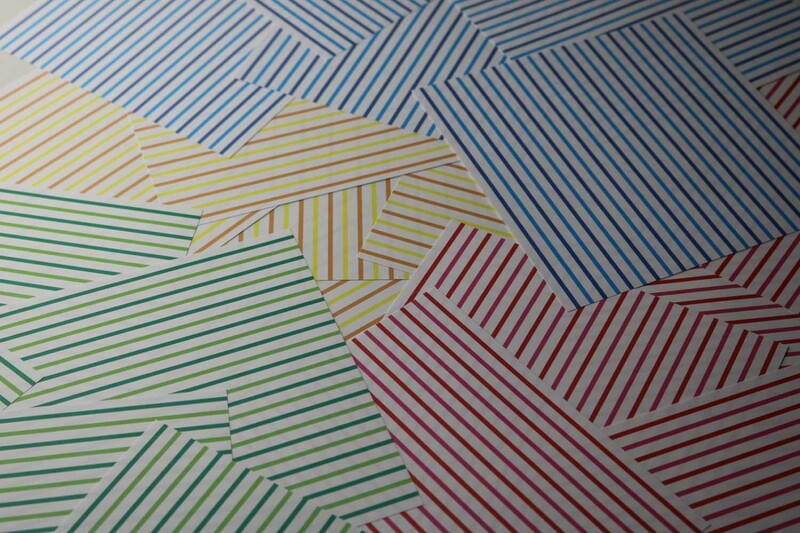 The back of the paper is white.